A suspect has been named for the 2008 murder of 2 girls in Weleetka, the Oklahoma State Bureau of Investigations announced Friday. Kevin Sweat, 25, was identified as the alleged gunman in the murder of Taylor Placker and Skyla Whitaker. The Okfuskee County District Attorney filed first-degree murder charges against Sweat Friday afternoon. OSBI Director Stan Florence said ...his agency conducted over 650 interviews, followed up on over 900 leads, collected 800 pieces of evidence, and performed 19,000 forensic tests during the course of the investigation. According to court documents, Sweat said that on June 8, 2008, during the afternoon, he was driving his black Chevrolet Cavalier car on North 3890 Road in Okfuskee County. Sweat then pulled over on the side of the road and saw “two monsters” come at him. Sweat then “panicked” and grabbed a gun from the glove box and “shot the monsters” with a .22 caliber gun. Sweat then got into his car and left. Sweat was arrested and charged earlier this year for the murder of his girlfriend, Ashley Taylor, in Okmulgee. According to Florence, one of two weapons used in the murder was a .40 Glock model 22 with serial number EKG463US, which Sweat may have tried to sell at a gun show in Tulsa this March. The OSBI is offering up to a $5,000 reward for that firearm. Investigators said they believe Sweat is the only suspect at this time. 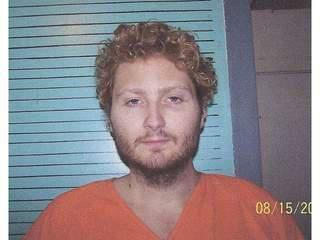 The Okfuskee County District Attorney's Office will seek the death penalty in the case.